Summer is here! That means that school is out, the weather is sunny and the campgrounds are open! Whether you are planning a high adventure trek or a simple overnighter with the family, you have to plan ahead of time to bring the right supplies. 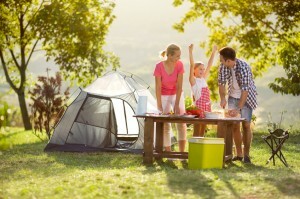 Here is a simple summer camping checklist to make sure you are bringing everything you need to have as much fun as possible.